Mount Joy, Pennsylvania (September 19, 2017) – The champions and award winners may have already been named for the 10th Anniversary season, but numerous Super Cup Stock Car Series drivers and teams still have their 3,300 pound, 600 horsepower machines ready to take on a new challenge. The Dominion Raceway Inaugural SCSCS Race presented by Avatar Instruments will commence on Saturday, September 23 at the oval portion of the multi-purpose Thornburg, Virginia entertainment complex which opened in early 2016. 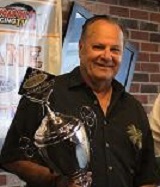 The 75-lap distance will be part of Dominion’s First-Time Winners weekend, in which an Extreme Awards and Personalization Trophy Dash for competitors who have never visited victory lane in SCSCS will be an added bonus to the night’s action. 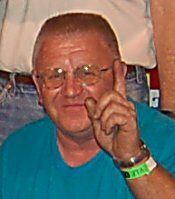 One of those non-winners to date who returned to the driver seat most recently at Jennerstown Speedway in August is Moyock, North Carolina’s Tim Richardson. The former open wheel racer with six career SCSCS top 10s is one of the only participants to have previously been at speed on the smooth surface after attending a successful American Racer tire test earlier in the year. “The track is so new that it’s got a lot of grip,” Richardson remarked about his initial impression of the 4/10-mile which is expected to see the ability for multiple grooves of side by side competition. Richardson along with Kevin Kromer, Brent Nelson, and Craig Wood are among those entered for this weekend that were around when the SCSCS last took the checkered flag in Northern Virginia, at the now shuttered Old Dominion Speedway. Don’t expect many similarities in the characteristics between the historic track that used to sit in Manassas and the pristine facility further south on I-95 though. “Compared to the Old Dominion surface, which was old and bumpy from what I remember, it is very smooth and fast,” the driver of the No. 90 IceBoxx Customs / MEP Chevrolet noted. Richardson, who last month made his first start since 2011, has received advice from a former SCSCS champion who has taken several laps around the track in its two years of existence. JJ Pack has taken out his Late Model on a few occasions during that time. 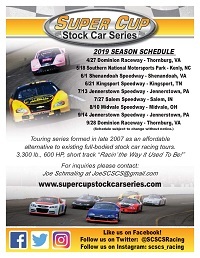 The competitors electing to compete in this special event will have a slight advantage when it comes to experience with the more than likely potential that the series will open the 2018 points season at Dominion. In addition, the location makes for an optimal meeting spot for teams in every direction as the SCSCS continues its expansion toward having a presence in both the north and south. Drivers from up to seven different states are looking to converge on Saturday and get their shot at the winner’s trophy and gain valuable knowledge toward the future. The event will serve as a homecoming for a few as well. 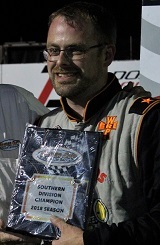 Home state driver Mike Southard was a regular in the Late Model division during the Old Dominion years and finished a respectable sixth in his only SCSCS start in 2013 at Shenandoah Speedway. 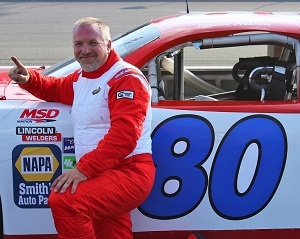 Culpeper, Virginia’s Craig Wood and frequent NASCAR K&N Pro Series East competitor Chuck Buchanan will pair up for their first SCSCS outing since 2011. 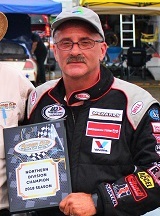 Wood had 11 top 10 finishes during his time in the series and also previously competed on a handful of occasions in the NASCAR Camping World Truck Series. 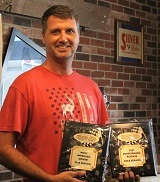 Brent Nelson, who led the 2017 categories in both wins and poles with two each, used to call Old Dominion home when starting out his racing career and has been looking forward to making an appearance down the road at the state-of-the-art short track since before the event was announced. There will be an optional open practice session on Friday evening with registration for teams beginning at 11 a.m. on Saturday. Spectator gates will swing open at 5 p.m. with racing, including the Dominion Raceway Inaugural SCSCS Race presented by Avatar Instruments and the Extreme Awards and Personalization Trophy Dash for non-winners, starting at 7 p.m.
A full race day schedule will be available in the coming days as well as a list of who is expected on the official web site at www.supercupstockcarseries.com. 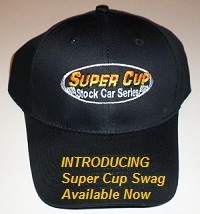 Fans are encouraged to please visit the Super Cup Stock Car Series Facebook and Twitter for interactive updates available throughout race day.